We hope that you liked the post and it was informative from your perspective. Then click on the wipe all data option. The good news is… Following the instructions below can help you to bypass the gmail account without downgrading the firmware. Please follow the instructions is the same order as mentioned below. You will see a setup wizard. I cannot get rid of the frp lock. Download link is given above. My problem is this I got a phone off eBay and they still have there account still set up on google. Google introduced this security feature with the release of Android 5. 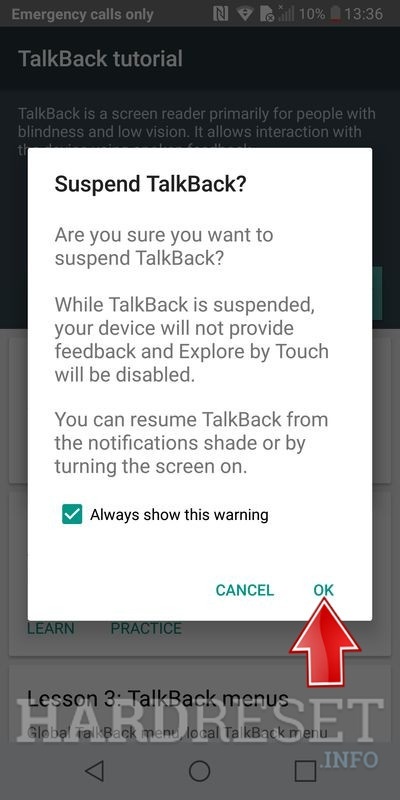 My lg g4 does not have the settings button under the talkback tab available. Yes, there are plenty of other methods to bypass the Factory Reset Protection lock. You will need to flash or unlock your phone very carefully. This creates a problem for them as are not able to login even after trying many times. But when i went to set up the phome like you normally would it keeps getting stuck at checkimg connection and will not get past is there any solution to my problem?! Now Go To The Settings And Scroll To The Bottom. What should I do for Android 8. But the crisis continues when people forget the user name and password too then the Google verification option also fails. Select the Send tab and enter the following command: at+creg? For newer Samsung models, the above methods do not work. With this tool, the user is the only person who can access his or her mobile device. Here is the video tutorial: Instructions are clear but if you still need help, just comment down below and I will try to respond to any questions asap. No doubt it is an awesome security feaure but it creates a lot of problem if you forget account password. After when the file is downloaded, extract it successfully on your system. Please do tell us how was your experience in the comment section. So why is it still google frp locked? So even if you factory reset the phone, you still won't be able to use the phone if you don't have the google account. Bypass lock screen with Dr. Simply select your device out of all the provided options and let the tool perform all the needed steps to unlock your device. So always add two more google account on your android device. Tap on Terms of Service to open Google Chrome Window. Now the software will auto detect your device version and name along with an online status. Below are some of the questions that confuse a lot of users and their answers are provided as well. The service is provided by a reputable team of experts known as DirectUnlocks. Samsung Galaxy Devices — Android Lollipop 5. To bypass android frp lock, two guides are available. The user needs to have the last Google account credentials that were registered with the device or lock screen details to continue using the device. Then find the Backup and Reset option and click on it, after that you need to tap again on the wipe all data option. I have an alcatel a574bl. If you never had previously faced such issue but thinks in the future you may run across it, then taking precautions to avoid it before it really happens, is the right choice. Using Z3X Samsung tool to bypass frp is quite simple and it brings a lot of job options to choose from. Tap on Factory Data Reset and then confirm the process. This awesome tool is free to download and very easy to use. This tool allows you to reset your android device without knowing your Google accounts info. If you have forgot your google account password after factory reset, it comes useful. But fortunately there are ways to solve this issue. If enabling this feature and you lost your phone or someone theft your device then the robbery want to use your phone by resetting your device or flashing your device. However, it is not verified with 5.